Give your laptop or PC a high-speed boost with the reliable SanDisk Extreme Solid State Drive (240 GB). 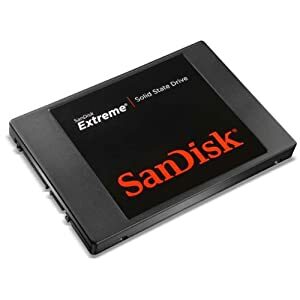 Get this SanDisk Extreme SSD 240 GB SATA 6.0 Gb-s 2.5-Inch Solid State Drive SDSSDX-240G-G25 for $159.99 with free shipping. Originally it is priced for $399.99.Head over to Amazon to buy. Check out couple of positive Reviews from the Customers ( 4.7/5.0 ).